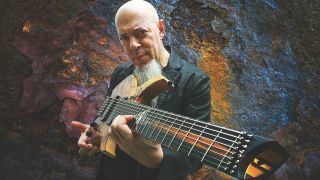 Dream Theater keyboardist Jordan Rudess has not only been hard at work on the band’s new record Distance Over Time – he’s also been working on a solo album. It’s titled Wired For Madness and it’ll be released on April 19 via Music Theories Recordings/Mascot Label Group on April 19. To mark the announcement, Rudess has released a lyric video for Wired For Madness Pt 1.3 (Lost Control) which you can watch below.